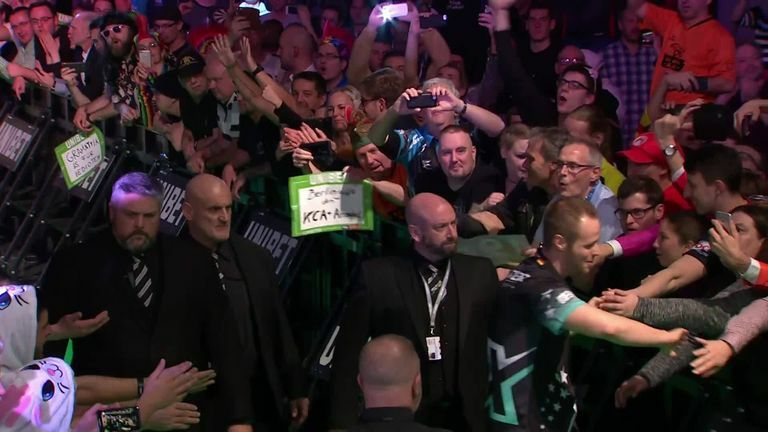 The Premier League roadshow rolled into Berlin on Thursday night and there were plenty of thrills and spills, as Raymond van Barneveld claimed his first win of the season to keep his survival hopes alive. Michael van Gerwen suffered his second defeat of the season against Daryl Gurney, as Rob Cross produced the performance of the night to move two points clear at the summit. Mensur Suljovic continued his fine form to move up to fourth, while James Wade and Peter Wright shared the spoils in an entertaining affair. There was also a moment which made us chuckle at the Mercedes-Benz Arena. 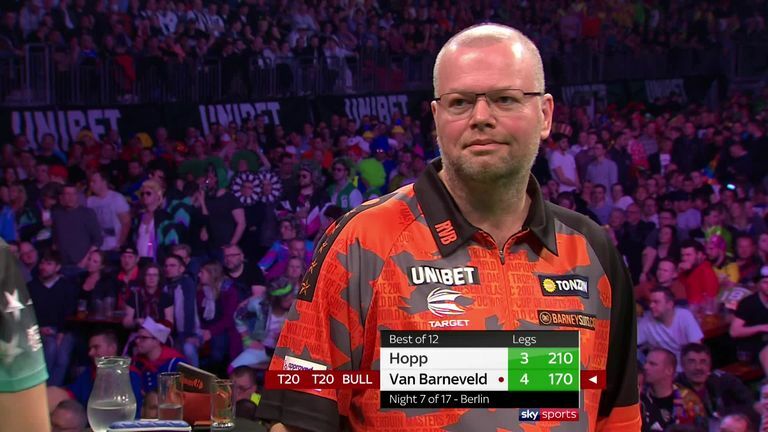 Raymond van Barneveld produced the first 170 checkout of this year's Premier League en route to registering his first win of the season and the legendary Dutchman certainly enjoyed it! Max Hopp received a rousing reception as he made his Premier League debut on home soil, but he was unable to register a win against his darting idol. A fan used VAR to change a decision in Berlin! 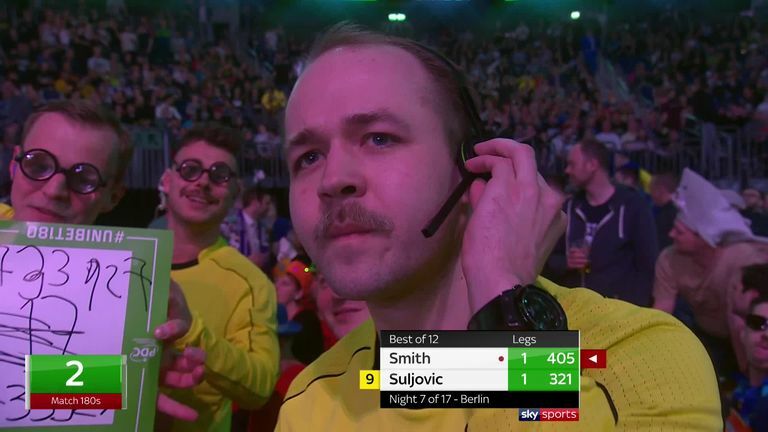 VAR has been a constant talking point in the footballing world over recent weeks, and a fan implemented his own use of VAR in the match between Michael Smith and Mensur Suljovic. Former Players Championship Finals winner Paul Nicholson was enjoying the action in Berlin and he reserved some praise for the five-time world champion RVB. Cross is two points clear at the top after clinching his fourth straight league win, as an impressive Gurney inflicted Van Gerwen's second defeat of the season to move up to seventh. Suljovic is into the top four after registering his third win in four weeks, while Smith has been embroiled in an elimination scrap with Van Barneveld, who is just one point behind last year's finalist with two games remaining. World Youth champion Dimitri Van den Bergh is the next contender to make his Premier League bow, as he takes on third-placed Wade next Wednesday. Van Gerwen meets Wright in Rotterdam for the second straight year, before the night concludes with Van Barneveld facing Gurney as he bids to beat the drop in his farewell season.